Forum Main The Hub DISCUSS - 29ers in WC downhill? DISCUSS - 29ers in WC downhill? Over the last week we've seen some pretty strong comments from some WC downhill riders about the potential use of 29" wheels in World Cup competition. I've been thinking about this and the only positive thing I can think of at the moment is that 29" wheels might be faster on some tracks. In my opinion there are way more negatives and issues surrounding 29" wheels for World Cup downhill, and that's coming from someone who rides a 29er. - They will potentially be faster from point A to point B, and that's what WC racing is all about right? - Will 29" wheels will put shorter riders at an immediate disadvantage. - Eventually everyone will be forced to use 29" so any advantage will be negated. Where is the progress? - The riders themselves don't want to ride 29"
- Tracks will evolve to suit the new wheelsize - faster straights, bigger jumps, less tech. - If fast times are everything, we should bring back skin suits too shouldn't we? - Downhill is all about image, and the images. 29" wheels look a bit goofy (like skinsuits). - They are harder to move around which will result in less whips and wild riding. As above really. - How will this affect DH bikes that are sold to the public. Will we be able to buy 27.5" DH bikes anymore? You can't buy a 26" DH bike anymore. Fast times are less important to guys who just want to have fun. Please feel free to add to the above. Depending on what happens in 2017 I think the UCI will have to come to a decision on wheelsize for downhill. The equipment should be standardised so that it offers a level playing field. And also the regulations should exist to preserve the heritage of the sport and to not let it evolve into something different. Rules apply to 20" BMX racing, road racing etc, so why not downhill? Personally I don't think it would be as negative for the sport as you're making out. The likes of Lewis Buchanan in enduro highlights that you can still ride a 29er and look rad as hell. Gwin, Minnaar, Bruni, Atherton and many more racers wouldn't have any less flair on a 29er, as their riding styles are more focused on efficiency and composure anyway. And Fairclough would manage to look good riding a trolley, although he probably wouldn't take a 29er to rampage. I moved to 29" for my trail bike a few months ago, I'm 5ft 8 or 173cm and admittedly in videos I do look like a child riding an adults bike but my local tracks are tight, tech and muddy (think Joe Barnes rut tracks sort of tech). I've timed several of these tracks with both 29" and 650b which I was on before and equalled or beaten all of my 650b times so I see no need to tailor faster, straighter tracks to a 29" wheel. Even if that's where it makes sense that they'd be a lot faster. I'm waiting on dorado's right now to finish converting my Commencal Supreme v4 to 29" (I've had longer dropouts made that also lower the BB a bit). It'll no doubt be a bit controversial at the national level races I'm doing but I think it's faster so why not. There's plenty other advancements being made with bikes getting lighter and suspension improving, so getting caught up on wheel sizes is a bit tiring. Especially when I've been able to make this change for a fraction of the price of upgrading from alloy to carbon wheels. You make some good points there. 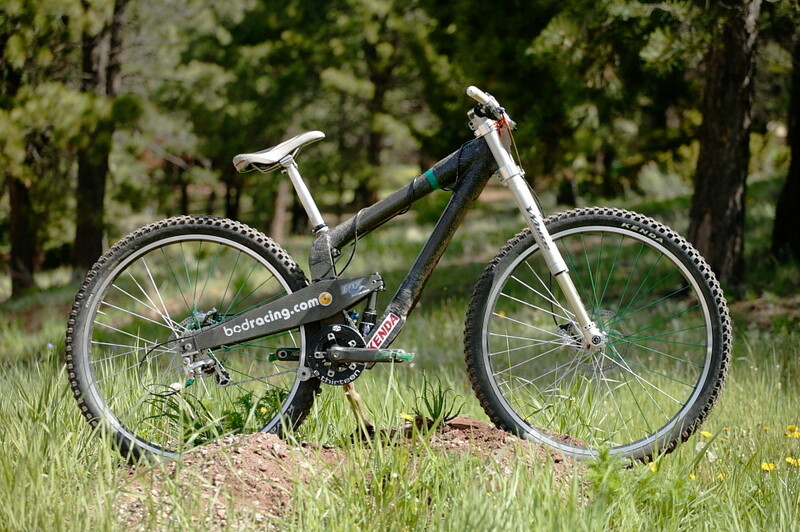 I understand what you are saying, but a downhill bike isn't an enduro bike. I'm 6ft 2" and I find my Enduro 29 to be a big bike to manoeuvre around. If it had up to 40mm more travel it would be like riding a horse. It will be interesting to see if your V4 is faster on the big wheels. I don't want this to be a 29 vs 650b debate. More a discussion of whether WC downhill racing even needs bigger wheels, and where do we draw the line? Lots of sports have regulations to stop them being taken in the wrong direction, maybe it's the time for downhill too. crazy to think alex morgan messed around with them 10 years ago and steber 7 years ago. considering the existing track line up for 2017, where does everyone think a 29er could excel over 27.5? i think the idea the that 29ers would make courses less tech isn't fair. i could see a 29er doing well at MSA and Fort William w/ very few tight corners, but lots big hits and holes with high speeds. i wouldn't consider MSA or Fort Bill lacking tech. andorra or lenzerheide don't seem like a 29er tracks. i'm also unsure about "riders don't want to ride 29ers". if i was a podium-level rider, i'd want the bike that will win. some may be resistant but others might not. could a tall rider like payet be stoked on bigger wheels and a bigger bike? where it goes, time will tell. Don't forget, someone who is 6'2" on 29" wheels is akin to someone 5'7" on 27.5" wheels. Proportionally anyway...and I don't see the short guys saying "I need my 26" wheels back". I think the larger wheel, when built appropriately around the right geo, could work on every WC track on the calendar. Tire selection, wheel strength, wheel weight - those will be the real detriments to the idea. Not "will it work". I'd wager that someone (notable) will be on 29" wheels at Cairns this year. How many 29ers have won the enduro world series overall. Zero, all 27.5. So for me that means it's the rider not the bike. I'm sure richie could ride a 29er and he might. I also think there will be 29ers on the world cup circuit at some point and it will just be normal. Tracy Moseley dominated (winning 3 in a row) using a Trek Slash 29. Regarding wc, the last thing I'd want to see is a UCI-prescribed wheel size. If you are willing (sponsors agreeing) you can still ride 26" at the races. So let's keep it that way, everyone chooses the weapon they like. That manufacturers may push a certain wheel size, is another story. I'm afraid, in the end this discussion has to and will boil down to which one is the better wheel size, with no clear answer. Let's instead just push for decent, gnarly tracks on the WC circuit and then go riding. I see 29ers taking off in the world cup for sure. The tracks are getting faster, straighter, more motor way like and less techy on the whole. It's rare you see anything like shladming with really tight tech these days. But for the sort of DH that I tend to ride I can't see them being useful, pretty tight and techy UK DH surely wouldn't suit 29ers and the longer wheel bases that will come with them, at times my bike can already feel too long to fit around some corners and can take a bit more body english to persuade it around. Mountain biking is evolving so fast mainly because its free to do so without interference from bodies like uci. Look at road biking or F1. They look cutting edge but there's no real innovation jumps in sight. The best way forward is to keep it as it is - the best man and machine take the win. I suggest those who likes being bound leave Mtb alone. Try road biking or something. Your carbon 700c wheelset will definitely worth something 20 years down the road. I don't think shorter riders will be disadvantaged. Bikes are already getting longer, slacker, and lower. Even chainstays are already growing; it's the perfect set up for 29 inch downhill bikes. I raced Mont Sainte Anne this year and one thought that popped into my head almost every run was 'man, a 29er would be so sick right now.' I think the rollover would be so advantageous on breaking bumps especially. Less fatigue means you can push harder at the end of the track. And to the point that "Eventually everyone will be forced to use 29" so any advantage will be negated. Where is the progress?" 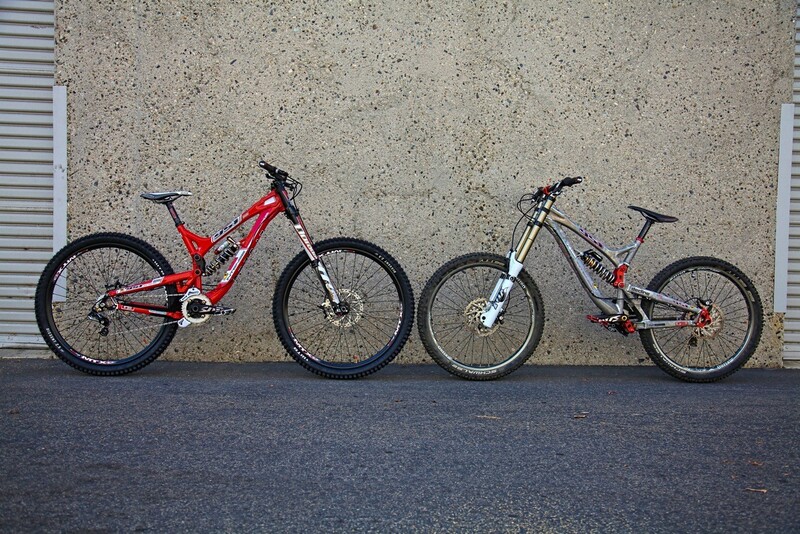 You could say that about every progression in downhill bikes over the past 20 years. You could say that about having suspension, long bikes, 650b, etc. The goal is to go faster and if 29 allows for it then that's the direction we should go. It also might generate more mainstream attention if people are going faster, and it's about time more money comes back to downhill. The sport is already bound by regulation. In 2009 the UCI banned the wearing of tight clothing ie. skinsuits. Why was this? Sam Hill could still drift his bike around turns in a skinsuit. But the regulation was applied to retain the image and marketability of the sport (created by Shaun Palmer). No other reason. You could say that the sport would be totally different today had this rule not been created. World cup DH might not even exist without the marketeers being able to justify pumping hundreds of thousands of $ into the sport. I would say that image is not reason enough to ban 29" wheels, but maybe it should be taken into consideration. I understand your point of view. At MSA you could see the benefit that 29" would give you to gain an advantage over the other competitors. But if everyone was on 29" you wouldn't have that thought. You would just get on with trying to ride your bike to the best of your abilities. Once the whole field is on 29", the braking bumps would be bigger, the holes would be knarlier and the rollover advantage would be gone. So yeah everyone is going faster, but why? They could make any form of motorsport faster by removing power and weight restrictions, but they don't. You have to control safety, costs, and keeping the sport from spiralling out of control and losing sight of where it began. I'm not against advances in technology, but wheel size is a defining characteristic of a bike. A BMX has 20" wheels. A road bike has 700c wheels and so on. Someone earlier mentioned Payet (tallest guy on the circuit). What if he rocked up on a 32" wheeled custom made bike and smoked everyone by a big margin? Would that be progress or simply unfair? changing wheel size every few years is not causing mtb racing costs to spiral out of control. I think if Payet could ride a 32" wheeled bike faster than everyone else- he'd be stupid not to. Costs are all relative. £100 million to an F1 team or £10000 to a privateer trying to get to world cups is a lot of money. We've already seen two retirements from World Cup Racing this year by riders who should be in the prime of their career. The biggest is Bryceland who seems to be burned out and disillusioned with the travelling etc. The second is Harry Heath who made some pretty bold statements about costs, fads, money making etc in the bike industry. You can read his interview here on Dirt. As long as everyone has access to the same technology I see no problem with experimenting. Speaking of, where is the 29" DH fork? I think a lot of us would give this a go if the forks were available. Yes, I know the retrofit options available currently; 40, Dorado, etc...I'm talking about a proper 8" travel fork designed around a 29" wheel. Big wheels for big guys/ small for small guys is not a thing. They have the same pros and cons no matter what your size. What does matter is your riding style and just quite simply whether you suit the bigger wheels or not. I believe 29er wheels may actually help bring some gnar back to the dhwc. They're definitely more suited to chewing up big rocks than cruising a bike park. The statement about 'eventually everyone being on them' is the same as for any other advancement. And it is exactly how we progress. Fast times are everything. 29ers can and do look rad, skin suits do not. But this is racing not a fashion show. Im all for it, just like any new bit of tech or any other advance in the sport. If the pro guys try it and it doesn't work then we'll know that we need to look elsewhere. If they're prohibited from trying things that could push the sport forward we're just dead in the water. Surely when they developed those 29er DH bikes in the past, they tested them against the equivalent 26/27 model. So, for them not to continue the development/use of that 'testbed' Intense 951 29er for example, over the 26/27, implies to me, 29ers are lacking when it comes to DH racing. Plus, to me at least, 29 still looks cumbersome. They must be testing all the time, so they must know. Trek apparently tested a 29er, if it was faster DH I'm certain they'd all already be using it. 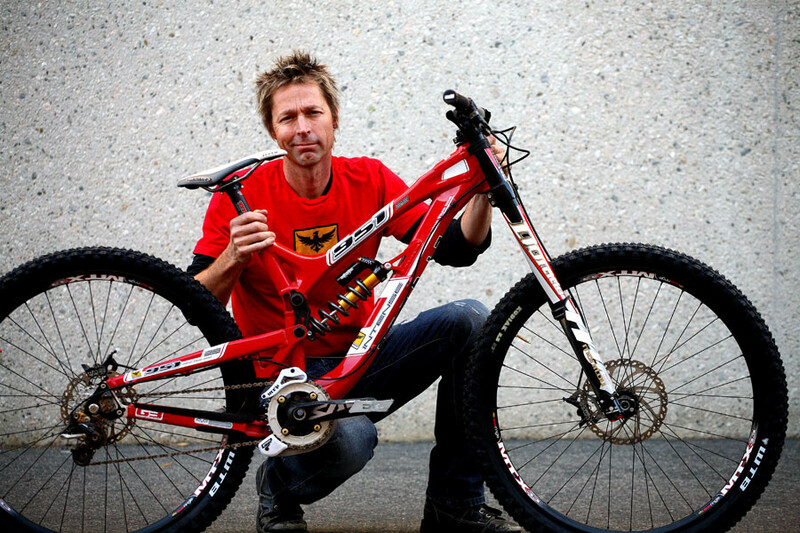 I have little doubt that Minnaar will be on that Santa Cruz Whatever 29er come Cairns if he's tested it to be faster, and probably an assortment of others (but only at Cairns what with the long pedalling section). i think wheel building (no boost meant flexier wheel) and lack of tire options were an issue w/ intense and BCD a few years back too. those are no longer problems. Some good points there Thom. Personally I don't see wheel size as an advancement in tech as such. More like a fundamental component that changes the appearance and characteristic of the bike. Other forms of tech have developed then reached an optimum, such as suspension travel, disc brakes and rotor size. I guess it might take a few seasons more for the optimum wheel size to be defined. Like you say, we'll see what the pros do this year, especially with World Champs being at Cairns. I stand corrected. She did ride a Remedy and not a Slash. Does anyone think it would be interesting if similar to supercross there was a 26,27.5, and 29 class and riders could race in one or multiple classes? Obviously it isn't feasible but it would be interesting to see how riders placed among different wheel sizes and how times compare. -shorter rider will not be disadvantaged by 29ers wheel size if the frame is specifically designed for them. Not many have the resources to produce a short chain stay, longer travel 29er in size S.
-if most is on 29er then it says something right...? -27.5 will not go the same route as 26 simply because manufacturers are not so stupid to make one wheel size anymore. The market still needs the 27.5 fun wheels. And it's easier to pitch multiple bikes to one guy with 2 standardized wheel size. How many will buy a 27.5 130mm and 27.5 160mm bikes at the same time? Don't a 130 29er and a 160 27.5 (or vise versa) makes more sense? -with 29er the tracks will be filled with even more tech stuffs like longer rock gardens and gaps that smaller playful wheels needs to weave instead. Weave is a nice word. -riders who do not like 29er don't have to ride one. We can't protect red bull sponsored athletes from wearing goofy caps every time when they are on air, can we... ? -29er looks goofy? Guys on 29ers looks the same as a 6 footers on bmx. -argument on access to technology is nonsense. Do they wait till every country on earth on board before announcing blasting off to the moon? Or do they wait for China to get their factories to churn out smart phones before they launch the iPhone? -we needs keep an open mind and let the industry evolve. We will get old one day and we certainly do not want to bring the whole industry to a slo-mo with us right? Bryceland summed it up in his retirement vid. Sure, 29ers will be faster when you open up the tracks like they did at MSA this year, but do you really want to watch 80 guys bomb a ski hill at not be able to tell who's going 70km/hr or 80km/hr? I feel like the bigger the wheel size, the smaller the gap between fast riders gets. This is also a factor of the tracks progressing to suit the bigger wheels too though. Even weekend joeys look fast on 29ers....until they try and corner. Corners and line choice separate fast riders, not straight line balls. I wonder why Sam Hill is doing well in enduro these days?